Back in May, I had the opportunity to coach at the NPPA Multimedia Immersion Workshop at Syracuse University. It’s an intensive, week-long workshop during which professional coaches from all sorts of outlets and organizations come together to teach sessions and do one-on-one story production with students. From what I’ve gathered, the workshop was historically attended by a lot of newspaper and magazine photojournalists looking to gain some skills in producing multimedia. But this year’s batch of students ranged from picture editors at USA Today and Getty, to newspaper photojournalists, freelance documentary photographers, deans of business schools, MIT media lab, college students, educators, marketing types. It was a very diverse group of people, all looking to either learn video from scratch or get better with the gear they have. The incredible part of this workshop is the ratio of students to coaches. Each pair of coaches (one Immersion veteran paired with one newbie coach, like me) had four students they worked with all week. I had the pleasure of working with Wes Pope, an innovative educator and super creative storyteller (and all-around awesome dude). I personally learned a lot from coaching with him the whole week. And our students were Kellen Deam (a student at Ball State University), Sara Wood (a rep for Nikon), Andy Wallace (a teacher turning toward video), and Andrea Bruce (amazing documentary photographer). Everyone was familiar with video to some degree, or at least visual production in some way, and a couple of them had edited with Final Cut Pro X before. Most importantly, everyone was super motivated to make something great within the tight timeframe of the workshop. I won’t go into the production timelines of the rest of our team’s films, but overall it was an amazing experience working through these stories with Andy and Andrea. They really wanted to learn and create something perfect. That’s a tall order under such extreme circumstances, but I think we all got close. I’m just glad everyone came away happy, albiet slightly exhausted after finishing the export of all the videos at 4am Friday night/Saturday morning. Probably my biggest personal challenge for the week was that we were teaching the students to edit with the new Final Cut Pro X, and I had never so much as opened the application before the first day of Immersion. I’ve been using FCP 7 (and previous iterations) for a long time now, and while some aspects of the new version are similar, just in terms of how all nonlinear editing systems work, it’s pretty much an entirely different piece of software. But by the end of the week, I was soaring through it with hot keys and shortcuts, and learning the pros and cons, mostly thanks so Joe Blum‘s amazingly thorough instructional packet. It was a really great way to buckle down and really learn something quick. The pressure always helps with that, too. Overall, I would recommend this workshop to anyone interested in learning multimedia video, or any professionals who have been thinking of taking time to coach it. It’s worth it. So a big thank you to Seth Gitner and Will Sullivan for inviting me to be a part of the workshop. 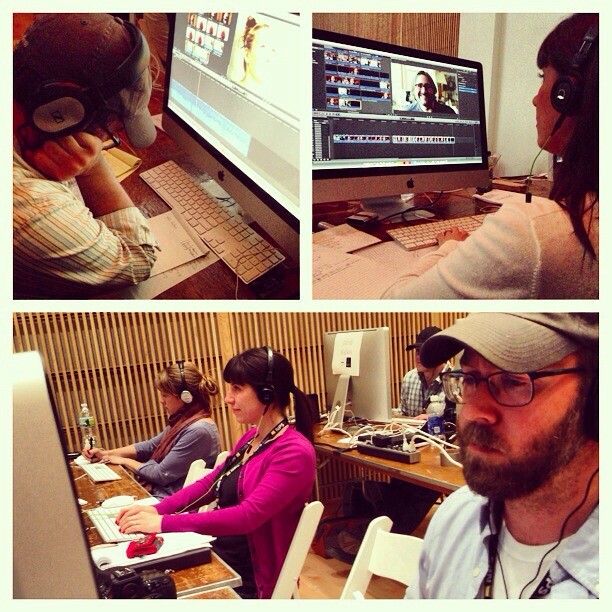 And see all of the NPPA Multimedia Immersion 2013 videos on the Vimeo channel. < How many times have you been stopped and searched? Howdy! I’m at ork browsing your blog from my neww iphone 4! Just waned tto say I love reading your blog and look forward to alll your posts! Carry on thee outstanding work!